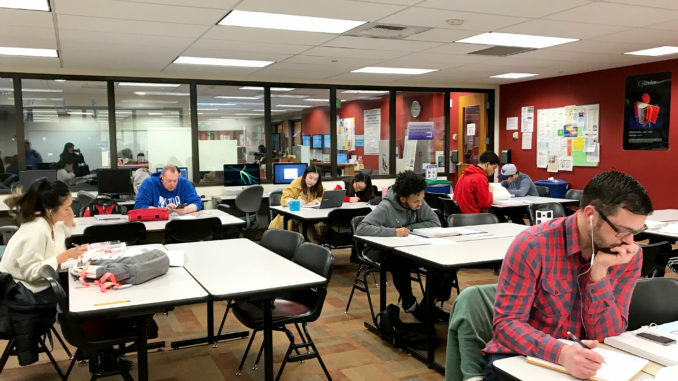 The pass/fail grading system could soon be a thing of the past as changes to Bellevue College grading policies are on their way. Changes have been proposed to several campus policies, pertaining to grading, academic forgiveness and a procedure regarding student dispute resolution. Overseeing these proposed changes is Interim Policy Coordinator Tracy Biga MacLean. One of the changes is to Procedure 1450p2, which according to MacLean, would make the process of resolving a dispute more simplified. The previous procedure detailed different processes for a dispute regarding a mistake made in the grading system, versus a dispute regarding a grade a student was unhappy with or felt was unfair. Due to students not being realistically able to notice minor mistakes in the grading system, they made the process for these two types of grading disputes the same, according to MacLean. As for the pass/fail grading system, it is possible that this will be changed to “satisfactory/unsatisfactory.” According to the document “Rationale for Revision of 3000,” this is because “pass” grades can be given to anybody who receives a grade between an A to a D, so transfer institutions may take a passing grade as a D. “Satisfactory” grades would be given to students who score anywhere between an A to a C. Meaning any grade below a 2.0 (or a C) would count as unsatisfactory, according to the document. Some other changes that are proposed pertain to Academic Forgiveness policies. The document titled, “Rationale for revision of 3210, 3210P,” explains that the name is proposed to be changed from “Academic Forgiveness” to “Academic Renewal.” This is because “[the college believes] that ‘renewal’ is less punitive and reflects a positive tone of support” according to the document. These proposed changes are currently open for comment, and will ultimately be decided upon by the board of trustees.